Fit-out complete at YBI in Mayfair! Office Profile were appointed by YBI, an investment firm, to fit-out their new office space in Mayfair, London. The fit-out project was over 1 whole floor of the building and included various areas such as a meeting room, an open plan office space, several offices, and a combined teapoint and breakout area. We began work on site in October this year and our team have hit the ground running! 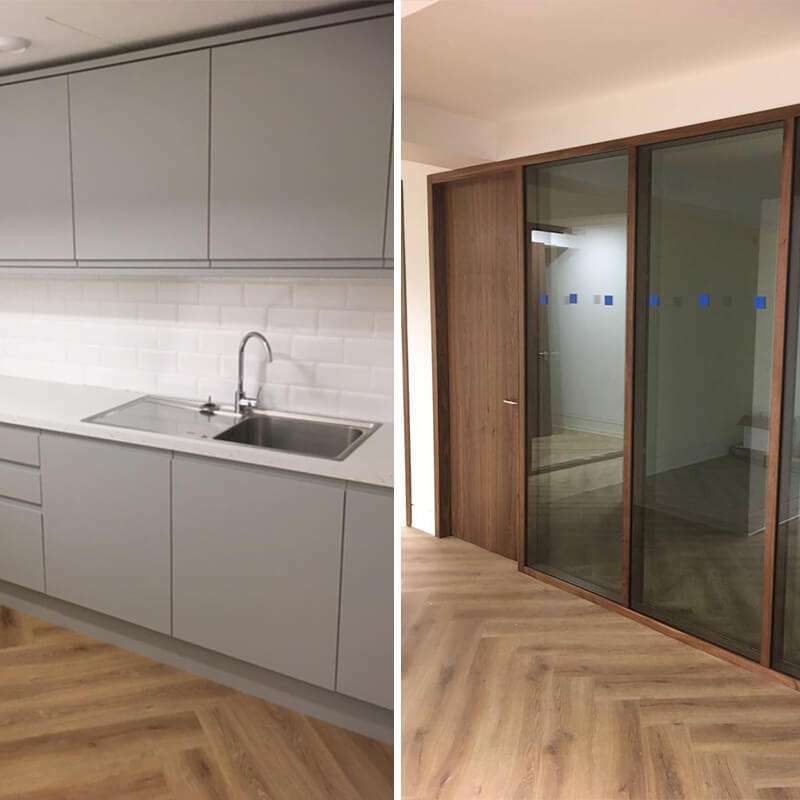 The internal walls were constructed using glass partitioning surrounded by solid walnut edging, matching the doors for the offices and meeting room. Several bespoke StorageWalls were built in a walnut finish, to mirror the internal walls and doors. A StorageWall is a creative way to add storage into an office without taking up too much space. To finalise the project, we fitted a modern teapoint with smart matt grey units, complete with a marble effect worktop and integrated appliances. Have a look at the case study page to see more Office Profile projects!